Exemplary Representation For Personal Injury, Family Law And Other Civil Law Matters. Dedicated to helping you with your most complex and serious legal challenges involving your livelihood, your family and your future, the legal professionals at Douglas, Joseph & Olson Attorneys at Law are here for you in your time of need. From our office in Hermitage, we provide the highest level of advocacy and support that you deserve for your legal issues involving personal injury, workers' compensation, Social Security appeals, family law, estates, trusts, real estate transactions, contracts and other civil law matters. For more than 20 years, we have served the residents of Mercer, Crawford, Lawrence and neighboring counties by working tirelessly to help our clients achieve the best possible results for their legal challenges. Because of this commitment to service, we have earned a reputation for exceeding the expectations of those we serve. 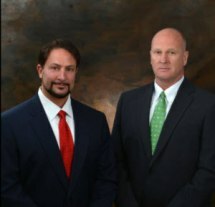 Whether you seek to secure the finances you need to support yourself and your family in the wake of a debilitating injury or devastating loss or you need a strong, dependable advocate on your side as you go through your divorce, plan or administer an estate, buy or sell property, or seek general legal representation, we are here to protect your rights and interests. To find out more about how Douglas, Joseph & Olson Attorneys at Law can best serve you and your family, you can contact our law office or use the online form on our website to schedule a free initial consultation.